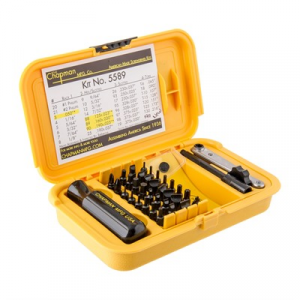 Nineteen additional bits for the Chapman Screwdriver Set. 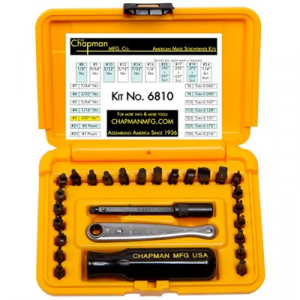 Mfg: Chapman SPECS: Set contains 11 - Allen head Bits from 1/16" to 5/16"; 7 - Metric Allen head bits and 1 - 1/4" square drive adapter. 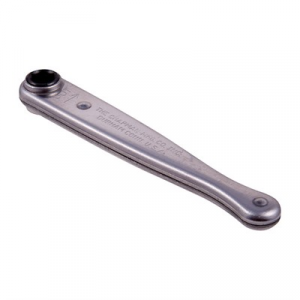 Packed in vinyl holder. 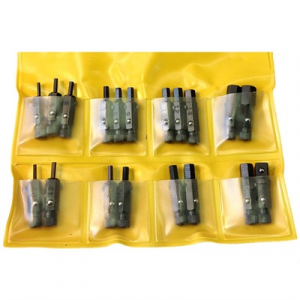 Eight piece set. 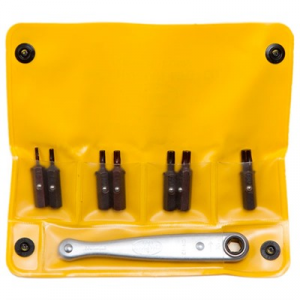 7 Torx bits plus midget ratchet stored in soft vinyl pouch. 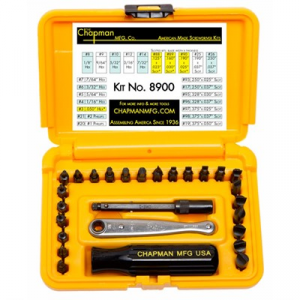 Mfg: Chapman SPECS: Set contains T-6 to T-30 Torx bits, ratchet, vinyl pouch.